So-called “building integrated (solar) photovoltaic (BIPV)” energy technology is considered a keystone of distributed solar and renewable energy proponents’ grand vision of economies and societies powered primarily by local, zero-emissions renewable energy resources. 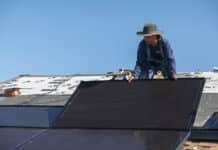 Marking a prospective turning point in the market sector’s evolution, Tesla recently started taking orders for and installing its solar energy roof tiles and home solar PV-battery energy storage systems in the US and the UK. An ambitious off-grid solar energy startup based in Nairobi, Kenya has developed and is installing its own, low-cost, locally made BIPV solar PV roof tiles and energy storage systems in the East African country. Reliably producing affordable, environmentally-friendly solar power and energy, the BIPV roofing system is enhancing energy service, energy security and resilience at the Gaitheri Secondary School in central Kenya’s Murang’a County, Thomson Reuters Foundation reported recently. Management is making plans to expand the organization and its reach much further. Some 300 Strauss Energy solar PV roof tiles have been installed and integrated in a BIPV system at Gaitheri Secondary School, which provides education to some 275 students from surrounding rural communities. Encased in clay and durable plastic, Strauss Energy is producing its solar PV roof tiles in Kenya. In addition to on-site production of emissions-free renewable energy, they can be used to harvest rainwater, Thomson Reuters Foundation highlights. Tesla CEO Elon Musk and CTO (Chief Technology Officer) JB Straubel, along with other employees, are among the first to be able to boast of having roofs that produce emissions-free electricity. Strauss Energy is working along the same lines, working out from its home base in Kenya’s capital across the country’s extensive rural areas and population. Each set of 12 Strauss Energy solar PV roof tiles forms a circuit that is interconnected to form arrays that are in turn connected to inverters, charge and system controllers into which a battery energy storage system is also linked. That enables the school to draw power from the BIPV system at night and on rainy days, as well as harvest rainwater for future use. The school’s BIPV system is connected to the local utility grid, but grid service is unreliable and expensive, which is typically the case in rural areas of Kenya. It’s estimated that 43 percent of Kenya’s total population of 45 million lacks access to electricity, Thomson Reuters Foundation notes. Most of them living in the many small rural communities that rely primarily on agriculture as a means of livelihood. Local solar energy entrepreneurs, with support from multilateral development agencies, private sector international development investors and government, are making precedent-setting advances with regard to electricity access, however. The US Africa Development Foundation (USADF), for instance, has been instrumental in Strauss Energy’s organizational development and the launch of its business. 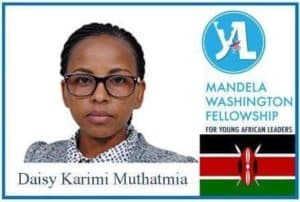 Strauss Energy co-founder Daisy Karimi Muthatmia was a Mandela Washington Fellow in the Young African Leader Initiative (YALI). “The Mandela Washington Fellowship is YALI’s flagship program. 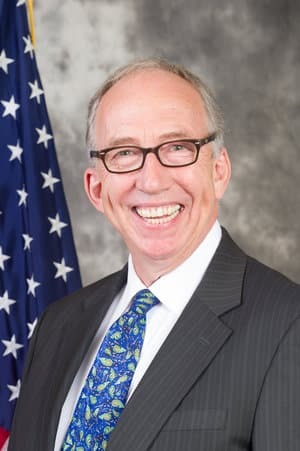 It brings up to 1,000 African civic, business and community leaders ages 25–35 to US universities for six weeks of academic coursework, leadership training and networking,” USADF youth program manager Ellington Arnold explained in an interview. USADF awarded Ms. Muthatmia a grant of $25,000 USD in 2016, one of just 36 out of a total 250 grant award applicants. Grant funds were disbursed in three tranches in accordance with USADF’s milestone agreement, which delineates what activities and targets grant award recipients must achieve in order to receive funds. With the grant funding, Muthatmia and her team at Strauss Energy were able to complete installation of the solar BIPV roofing tiles in a classroom at Gaitheri Secondary School, part and parcel of a pilot project aimed at testing the “scalability” of the technology in schools. The resulting 2.5-kilowatt (kW) BIPV solar energy generation system, associated accessories and 1600 amp-hour (A-hr) back-up battery system has sufficient capacity and is robust enough to meet the entire school’s energy needs, including its new computer lab. “Through this pilot project, Strauss developed a robust evaluation system for their model and were able to showcase their 2-in-1 solar roofing tiles and a model that could be replicated,” Arnold told Solar Magazine. Strauss Energy’s innovative BIPV technology is saving the school money by reducing grid power consumption. The enhanced reliability of electricity service is benefiting the school’s administrators and teachers in terms of their ability to provide a modern education to students as well, enabling them to open an 18-workstation computing center. The Kenyan solar energy roofing-BIPV startup offers a range of solar roof tiles of varying sizes and electricity production capacity at costs ranging from US$20 to US$250, according to Thomson Reuters Foundation’s report. It’s working to improve the energy efficiency of its product line and overall systems performance while at the same time reducing costs of production. Looking forward, management is working up a plan to build a manufacturing plant capable of churning out 10,000 solar BIPV roof tiles per day. More recently, USADF just completed another round of its Africa Off-Grid Energy Challenge sustainable energy grant program. USADF has approved six African solar energy entrepreneurs – two each in Rwanda, Uganda and Zambia – via its African Women in Energy program, an initiative it launched this past September, USADF Regional Director Tom Coogan informed Solar Magazine.